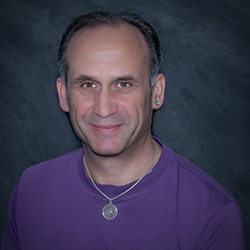 This comprehensive Yoga teacher certification is a month-long residential program consisting of over 200 class hours. 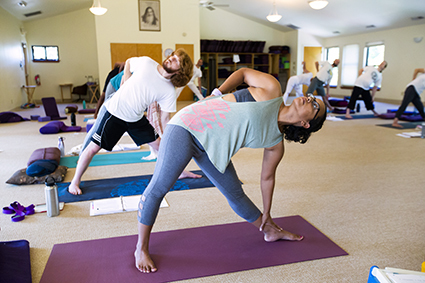 You will learn to teach each portion of the Integral Yoga Level I class, including asanas (Yoga poses), deep relaxation, pranayama (breathing practices), chanting, and meditation. Applicants should be regular practitioners of Hatha Yoga for six months, preferably one year. Applicants should be familiar with the Integral Yoga style of Hatha practice. If not, you can click here to purchase a DVD of our Level 1 class led by Swami Satchidananda. There is also a YouTube video available of our Level 1 class. If you have any questions, please contact the IY Academy at [email protected] or 434.969.3121 x153 before submitting your application and non-refundable application fee. Graduates receive a diploma certifying them to teach Integral Yoga Level 1 classes and are awarded 200 Yoga Alliance hours. We offer the option of splitting our 200-hour training into two 2-week segments if your circumstances don’t allow you to take the entire 4-week training contiguously. Inquire upon registration.